Calendar: «Washington’s Birthday ("Presidents’ Day")» & cards, «Presidents’ Day in New Mexico (Lincoln’s Birthday)» & cards, «Washington’s Birthday in Georgia» & cards, «Washington’s Birthday in Indiana» & cards, «Washington’s Birthday in Wisconsin» & cards. 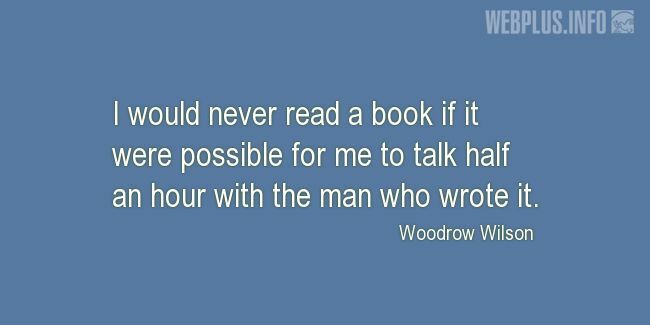 «Woodrow Wilson» illustrated quotation. Presidents’ Day quoatations, free quote pictures for Facebook, Twitter, LinkedIn, Reddit, Pinterest and other social networks.